Peter Clossick NEAC takes us on a tour of his current work as we discuss the artist's upbringing, inspiration, and artistic practice. Did you grow up around art? No, I grew up in a post-war, working class family. We lived near Kings Cross in a cramped two-bedroom council flat. My mother worked as a cleaner and my father spray-painted taxi cabs. The smell of Cellulose Thinners, when he got home at night, was the nearest I got to the “arts”. It was a difficult childhood, but through no fault of my parents. 'The Hat' is a self portrait - I was channelling Al Capone. How did you become a professional artist? After being expelled from Grammar School at the age of fourteen, I started attending evening life-classes at the Working Men's’ College. I realised I could draw and be creative, and that was the trigger. How did you arrive at the style for which you're now known? I arrived at my way of working through a lot of study of painting and perception, and through an inward journey to discover myself. I’ve been influenced by the analytic style of measuring seen in William Coldstream’s work, as well as the all-over working of figures like David Bomberg, all welded together with integrity. 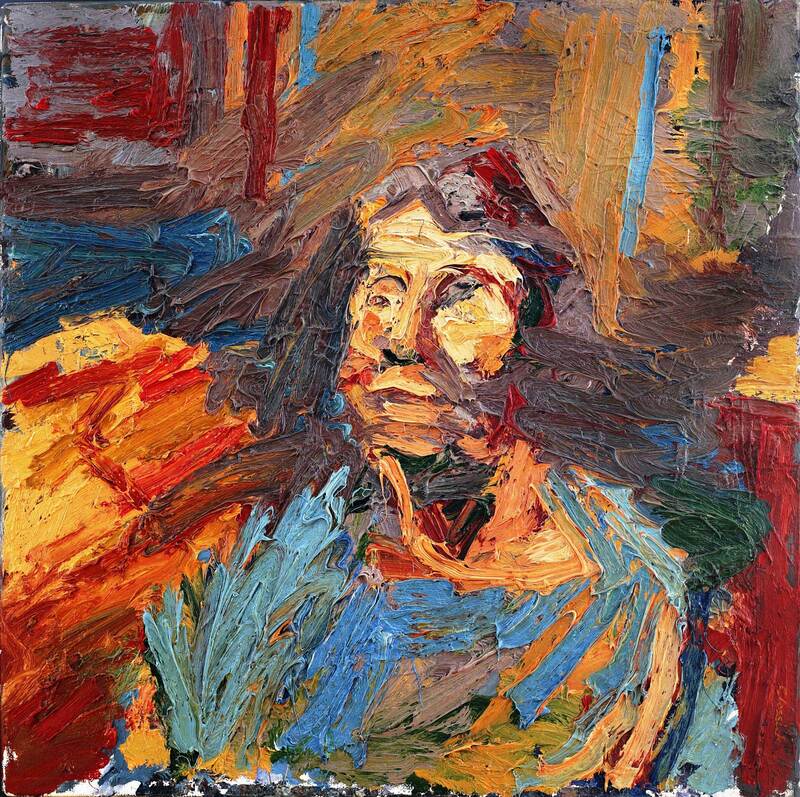 Why impasto and why oils? With oils, there’s both tradition and endless malleability. The impasto brings the surface facture up to the viewer’s space while providing tension against implied depth. Painting with more material than you can deal with puts you outside the area of pictorial illustration. What is your process for translating a sitter into a work of art? The point of transition is when the mark, coloured area or textual contrast becomes both self-referential and refers to the subject outside of itself. I never analyse this while working because I’m immersed in the physical activity; it’s only after the event that I see it. 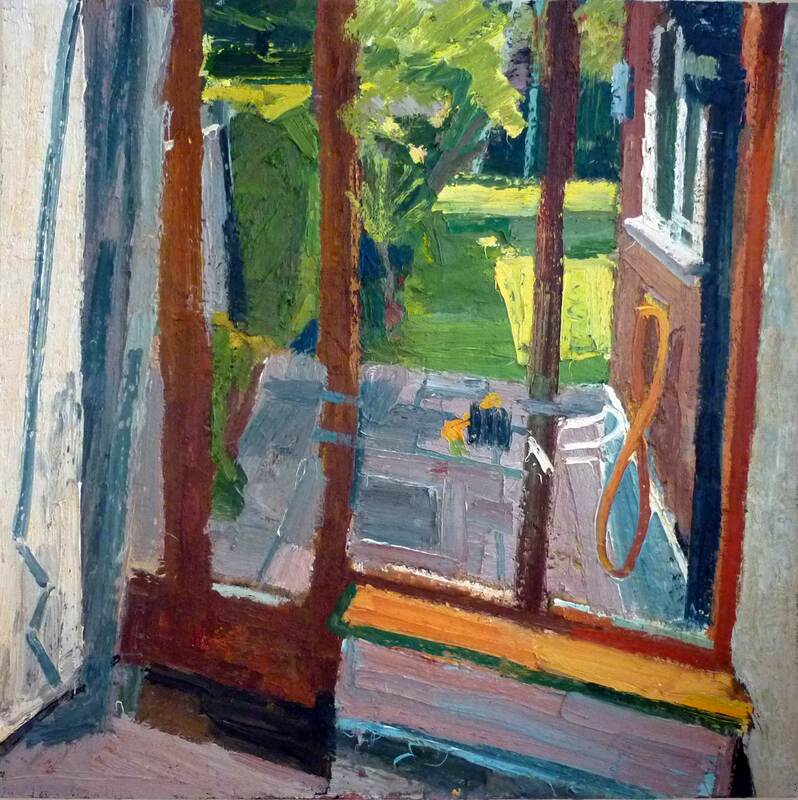 As it says on the tin, ‘Inside Out’ is a view from inside my studio, looking out onto the garden. Do you have a personal philosophy about painting, and is it inspired by the philosophy of other artists? All Art is inspired by other artists; as King Lear says, ‘nothing comes from nothing’. My philosophy is to try and make a painting that speaks to me. You work quickly but paintings can take a long time, and your painting style necessitates long periods for drying – could you talk us through that tension between speed and slowness and how it moulds your practice? To enjoy the malleability of paint, you must work wet into wet. But the true perception of results can take time. I might pick up a work that’s 10-15 years old and completely repaint it. I’ll resort to tonking, scrapping, and I’ve even used a sanding machine once or twice. TS Elliot said that true time is to be out of time, meaning that a minute can seem like an hour, or an hour like a minute. To me, painting is a fluid act, detached from time - although I sometimes surprise myself with how long I’ve taken! 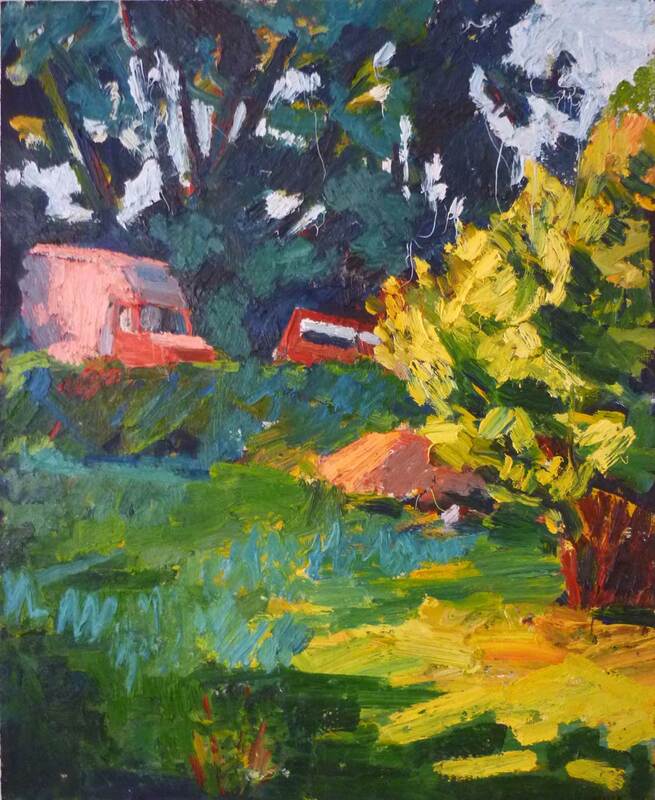 For Arch Farm, I had been staying with long-term friends in Cornwall when I was seized by the urge to paint. How much oil paint do you get through? A lot! It’s industrial oil paint purchased in two and a half or five-litre tins. The cost per year can run into thousands. Could you tell us about the NEAC and being a member? It’s good to be part of a larger body of artists, many of whose work I admire and can learn from. 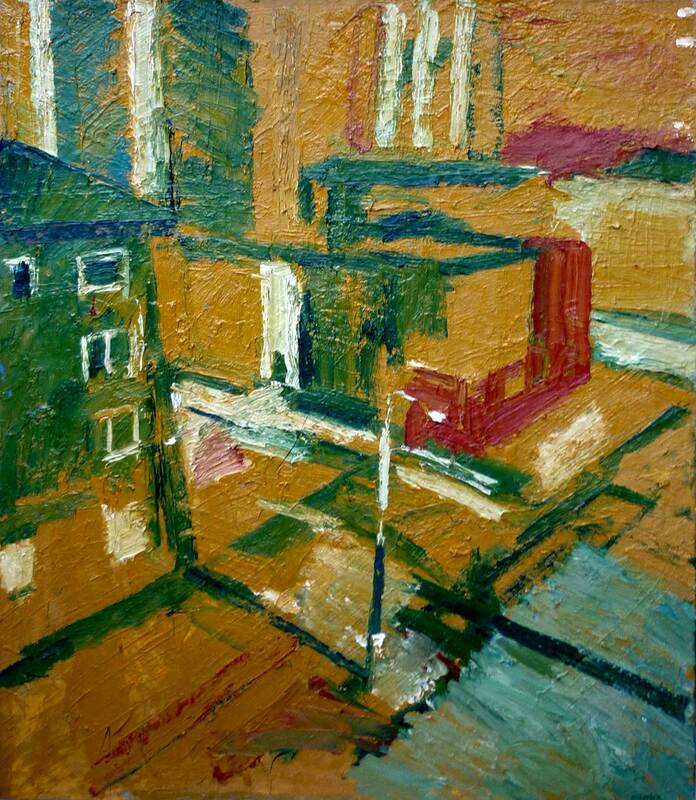 I have met many artists through the NEAC, and of course, Mall Galleries is a great central venue in which to exhibit. 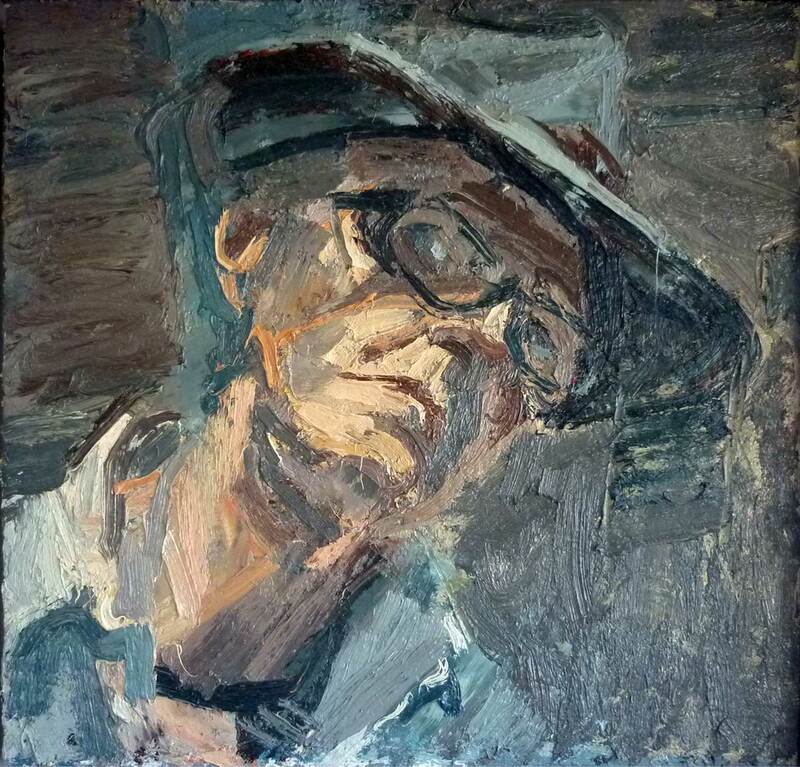 Find these works and more by Peter Clossick NEAC on Mall Galleries Buy Art | Buy Now, the online home of original affordable artwork. Plus, sign up to our newsletter to receive 10% off your first purchase. If you're an interior designer, get in touch for our exclusive designer's discount. Submitted 9 months 1 week ago by Beatrice.